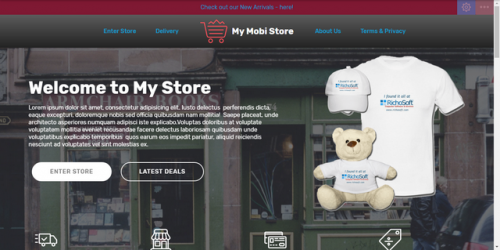 MyStore System Site Template for V4 Mobirise* sites. You can add products with different tax rates, offer types and other options. Products can be allocated to categories and have individual P&P values. Product Images are automatically optimised on upload. Stock levels also manageable and orders prevented for items out of stock. Include multiple users to manage the system..
NEW! - Allow products to be categorised and displayed by category also allows filtering of products on store page by category, offer type, price etc.